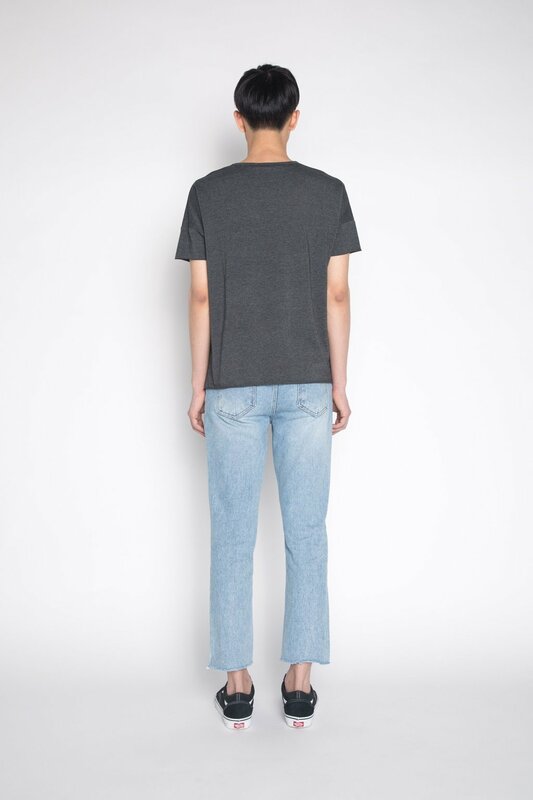 Constructed from a medium wash pure cotton fabric, these basic jeans have just the right amount of edge. 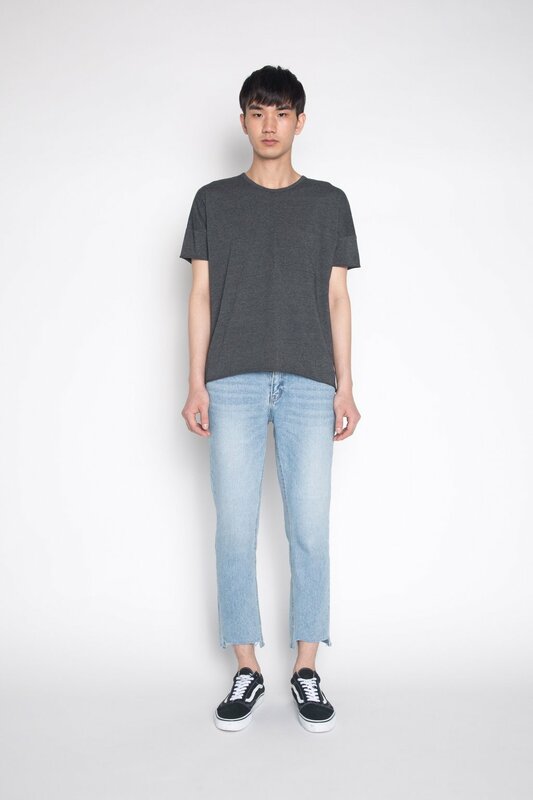 They feature a raw hem, wide leg silhouette, mid-rise fit, and traditional front and back pockets. 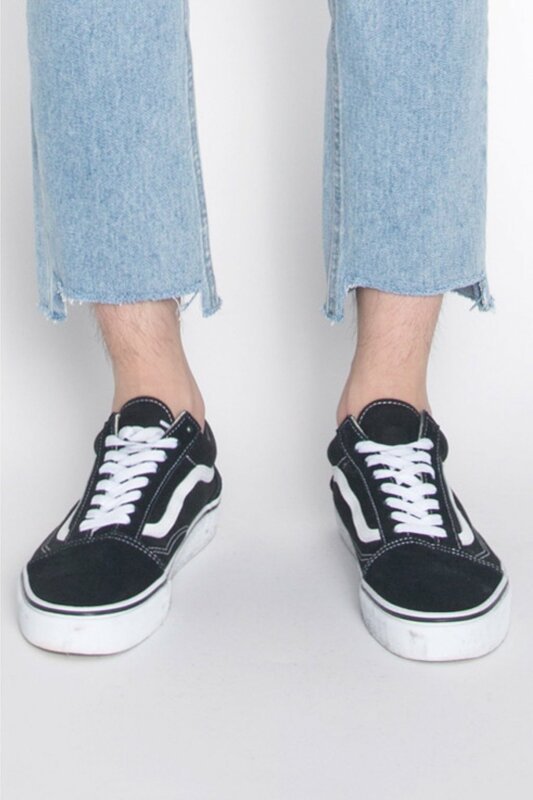 Try wearing these pants with a fresh pair of spring ready sneakers.